Random short messages from random places in the world sent to us by friend and fellow blogger FoXnoMad do pop up in our inbox occasionally. 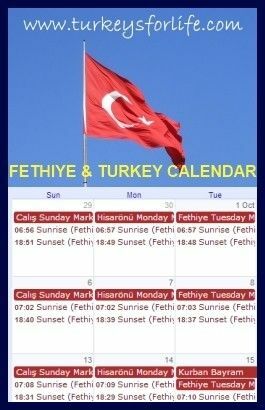 We follow the Duman Facebook page but this date had escaped us. Fortunately, it hadn’t escaped Anıl (aka Foxnomad) and Barry jumped straight on the Biletix website and promptly purchased three tickets. So on Saturday 28th March – day of the Duman concert – we printed our tickets off, took ourselves off to Fethiye otogar and asked about buses to Muğla. One leaving in seven minutes. Brilliant! In a country with a (not altogether accurate) reputation for things not running completely smoothly, the Turkish intercity bus system is just fantastic, and a couple of hours or so later, we were at Muğla Otogar. …Well, after the winter we’ve had, we shouldn’t have been surprised to climb down from the bus into Muğla’s torrential rain! And, the city being much higher up than Fethiye, not only was it raining; it was cold, too. Hmm, all of a sudden, my mentally planned mini series of Muğla blog posts, and all that we had discovered in Muğla, had disappeared. But we know Muğla Otogar and we know it has a row of kiosks serving snacks and drinks. First things first, a gözleme while we have a think about a plan. There’s a roof so we don’t get wet while we think. Hot, rolled-up gözleme is soon polished off – and then we see our concert venue, right across the road from the otogar. Barry had seen online that it was opposite the otogar but we didn’t think it was this opposite. And, better still, there was another bar, Assos Express ‘Pub’ right next door. Hmmm, it was still a while before the concert…but it was raining…there was a pub…there were lokantas, kebab places and soup places, all in the same row. Thank you, Muğla. No touring to be done – but at least we have facilities. A beer or two in the busy Assos Express, a bit of food at the lokanta a couple of doors along the street and we make our way back to Tren. On normal days, Tren is apparently a bar, restaurant and a separate nightclub area. Around the side (we found out from one of the busy-looking members of staff) is the entrance to the ‘arena’ area where the Duman concert is going to be. I’d risked taking my bulky camera to Muğla with me for photos of the city during the daytime, despite it saying ‘no photographic equipment’ on our concert tickets. Now, here we were, in a bar: no photos, no need for the camera and I’m risking having it taken from me at the entrance. In the queue later on, everyone is being searched on the way in and girls are emptying their bags to show what’s inside. And then, all of a sudden, someone spots we have printed versions of our online tickets in our hand. We’re called out of the queue and put in a very short ‘online ticket’ queue. Before we know it, we’re inside. No one searched me or gave my camera a second glance and we’ve been given a voucher for something, too. After the first drink, we look at the vouchers we were given and realise they’re for a free drink. Just as well really because we’ve all looked at each other in disbelief after Anıl bought the first round. 15 TL for a small draught beer in a plastic glass! In years gone by – those younger carefree we’re-at-a-gig-who-cares days – we would have cared not a jot about the price of a beer. However, we’re in our 30s and early 40s now and the free-drink voucher has just managed to slightly smooth over the raw pain of 45 TL for three small beers! But Duman are Duman. Always perfect, live. These guys gig relentlessly, so their set is flawless. Neil Young plays in the breaks between sets. Duman are products of the Seattle scene when Pearl Jam and Nirvana were cutting their teeth and citing Neil Young as their main influence – and Duman were there, too. According to Turkish music documentary, Crossing The Bridge, the band were restless and wanted to sing in their native Turkish language again, so returned to Istanbul. Turkey’s (and our) gain! We cross the road back to the otogar after the concert. It’s around 2am and we have no idea if there’s a bus back to Fethiye – but logic and previous experience tells us that buses regularly pass through Muğla en route to Fethiye. But we’re told there is no bus until 8:30 am. Oh joy! Fortunately, the lokantas we visited earlier on are 24 hours. Soup, kokoreç and çay pass a bit of time away and we all chunter amongst ourselves. There’s got to be a bus – there are always buses! A stroll back to the otogar and Mr Foxnomad somehow manages to get in a sleeping position on the most uncomfortable of metal chairs. We’ve completely lost the plot with what the time is now because we’re here on the night the clocks go forward. We can’t work out if the clocks in the otogar have changed. Is the 8:30 am bus really 8:30 or is it the old 7:30? None of the questions make sense because we’re all flagging a bit by now. I try to stay awake by photographing the famous (rather large) Muğla Simit – blogging brings out these odd habits in you. Late as it is, tired as I am, I’m still fascinated by a bit of Turkish regional food. These Muğla simits look just great – logic obviously didn’t prevail though (tiredness, a concert, a few beers?) because it never crossed my mind to purchase any, unfortunately. An hour or so later, just as we’ve given up hope of leaving the otogar before daylight and eyes are ridiculously heavy and blurry, a bus pulls into the otogar. Fethiye. By 8:30am – the time we were told our next bus out of Muğla would be – we’re already snuggly and tucked up in bed at home in Fethiye. So what can we tell you of Muğla from this particular personal experience? 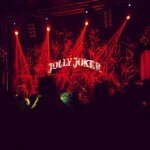 Duman At The Jolly Joker Concert Hall In Antalya – Realising A Dream! . . I’d have been weeping into the plastic at those prices! Ha ha, we were nearly weeping into the plastic, too. Barry was more distressed at the plastic rather than by the prices. Have you mentioned Neil Young before in your Duman posts – did I miss it? I will def listen to them now if they are influenced by this lovely old whinger.